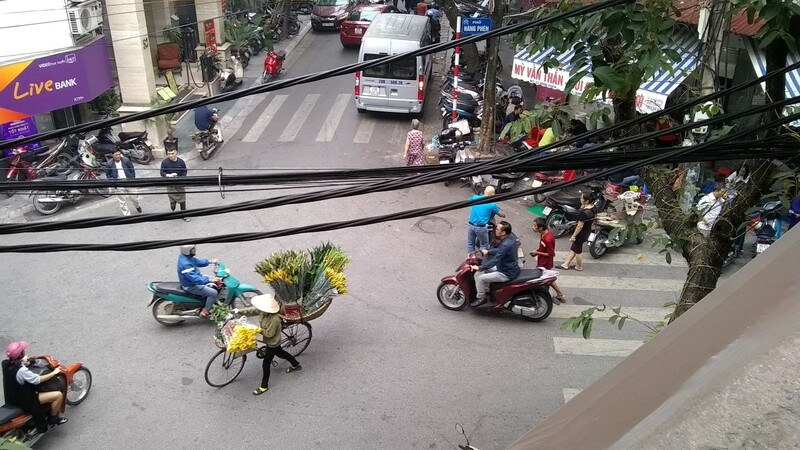 Our hotel in Hanoi looked out over a busy intersection which made for pretty constant entertainment - who needs a TV when you have a window out on Hanoi. 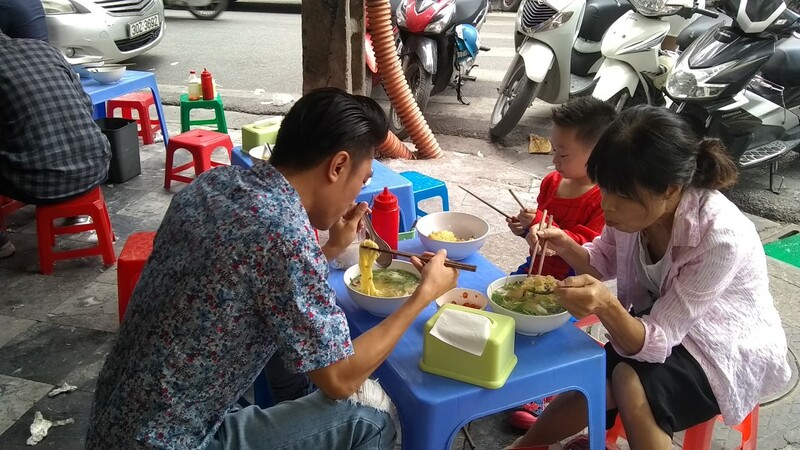 The first morning we were there, we noticed that the shop across the way was packed with people slurping up bowls of some sort of soup. When we returned from a walk around noon and went over to check it out - crickets. Nobody was there. This is very much a typical thing in Vietnam - lots of foods are only available at certain times of day. A few days later, we held back from eating too much at our hotel breakfast and headed over while they were still in full swing. 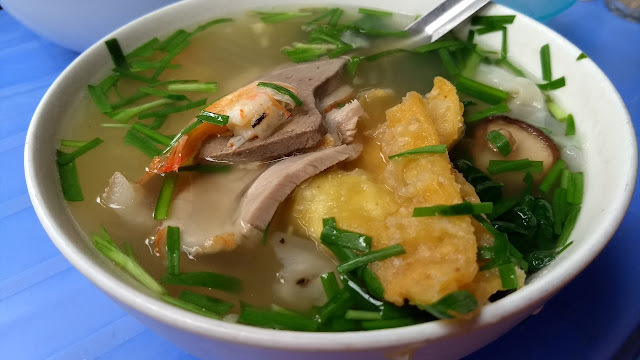 The soup turned out to have a light shrimp flavor, and was packed with stuff - a few whole shrimp, some small wontons, sliced pork, sliced liver, mushrooms, and a huge fried wonton. 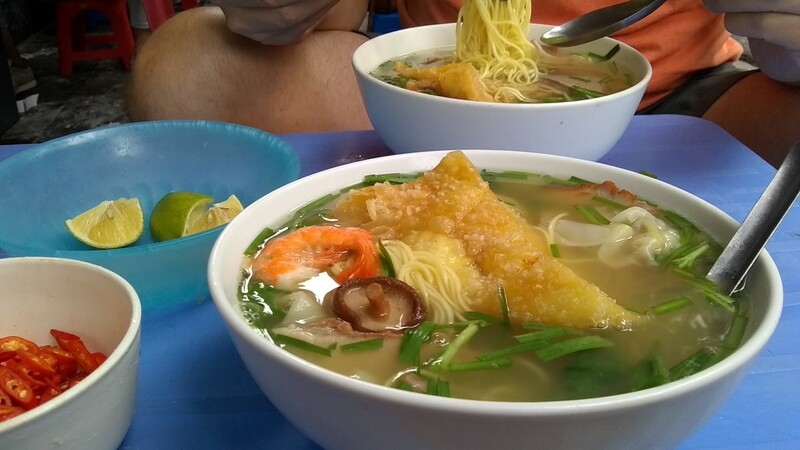 And, of course, noodles (thin, egg noodles - much like the type you get in Cantonese wonton soup). 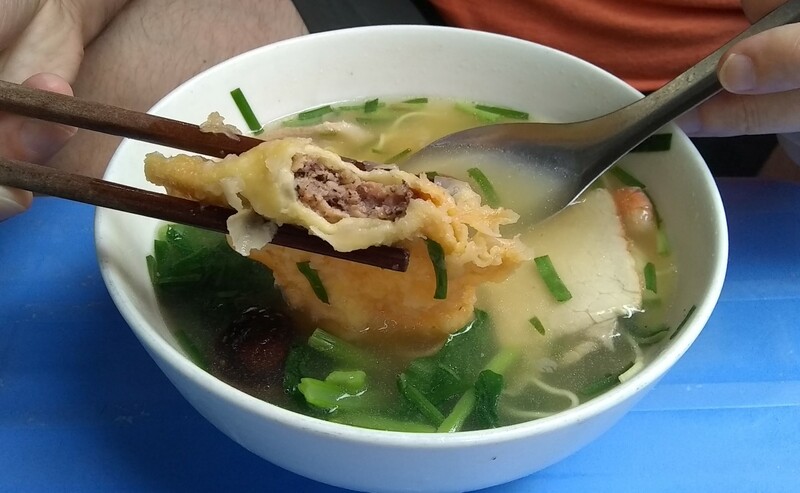 The large wonton was also filled with minced pork. Very tasty, and the broth just got better as the bits soaked in it while we ate. Well worth strolling across the street for.